Ada pertanyaan untuk Hotel Vine? Jika apa yang Anda cari adalah hotel yang terletak strategis di Seongnam-si, carilah Hotel Vine. Dari sini, para tamu dapat menikmati akses mudah ke semua hal yang dapat ditemukan di sebuah kota yang aktif ini. Bagi Anda yang ingin berjalan-jalan, Huimangdae Park, Sungnam Kidok Bakhwajum, Seongnam Arts Center hanyalah beberapa dari obyek wisata yang tersedia bagi para pengunjung. Hotel Vine juga menawarkan berbagai fasilitas untuk memaksimalkan pengalaman menginap Anda di Seongnam-si. Ketika menginap di properti yang luar biasa ini, para tamu dapat menikmati layanan kamar 24 jam, WiFi gratis di semua kamar, resepsionis 24 jam, fasilitas untuk tamu dengan kebutuhan khusus, penyimpanan barang. Akomodasi hotel telah dipilih secara cermat demi kenyamanan maksimal dengan adanya televisi layar datar, akses internet - WiFi, akses internet WiFi (gratis), bak mandi whirlpool, AC di beberapa kamar. Disamping itu, hotel memiliki berbagai pilihan fasilitas rekreasi yang menjamin Anda melakukan bermacam hal selama menginap. 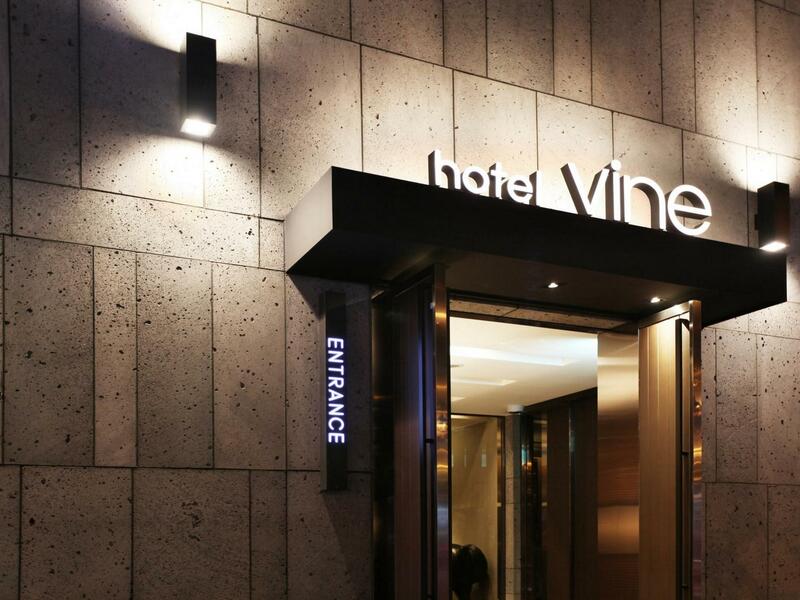 Hotel Vine adalah tempat menginap ideal bagi para wisatawan yang mencari pesona dan kenyamanan dari Seongnam-si. Was there on business. The hotel staff were VERY HELPFUL in all areas. One of us was down with a bad cough and they gave medicine for free. The restaurant was also aware we were muslim and prepared non meat breakfast for us. Rooms were equipped with a laptop and a good supply of toilettries even hair cream, hair spray and wax. Amazing! Thank you so much! Easy to find. Near subway, airport bus stop. Many restaurants around hotel. This hotel is only fir for biz trip, others near this hotel is not for biz. Nice bed, easy to go Pangyo areas. Good hotel for this price. Hotel is easy to find, near subway station as well as airport bus stop (taxi basic fare) Room is clean, I though it could be noisy because the hotel located at the road but quiet if close window. Breakfast was nice than I expected. My foreign collegue commented the hotel is good. Easy to access Pangyo areas. Quiet, new, purpose-built with an eye for serving the needs of the business traveller. Very comfortable bed with plenty of suitcase space. Less than 10 minute walk from the Sujin Station, 5-minute taxi ride away from an airport bus stop. Includes free access to an in-room laptop, fast, reliable wifi at all hours, a large in-room jacuzzi. About one hour to the main tourist attractions in downtown Seoul, 35 minutes to Gangnam, 45 minutes to Itaewon, 20 minutes to Jangyi and a large shopping mall. Located near a suburban shopping area with a market. Not far away is an historic fortress surrounded by a large park with hiking trails. Seoul Internatioanl School is about 25 minutes away by metro and walking. Very helpful, efficient, staff. Good breakfast. A nice oasis away from the frenetic tourist districts. Very nice, comfortable, well appointed, in-room Jacuzzi, modern design. Adjacent neighborhood supports local commercial, rather than Western tourist. But within short taxi of newer, modern design centers, restaurants, recreation, and retail/commercial. Hotel is modern design, with a very helpful staff willing to assist non-native speaking business visitors. Booked the room on the morning of check-in for a Super-Twin for 3 as indicated available by Agoda. Received calls from hotel staff 2 hours later that the hotel is fully booked for the Super-Twin. We were offered 2 deluxe rooms which we have to accept as we are on the road and has no access to internet to re-booked with other hotel. Paid extra for the change. (Would appreciate Agoda to comment on this). 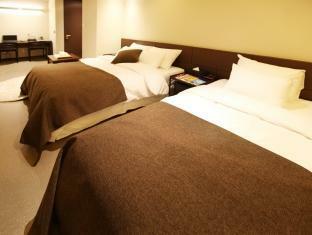 The Hotel is - clean with comfortable beds. 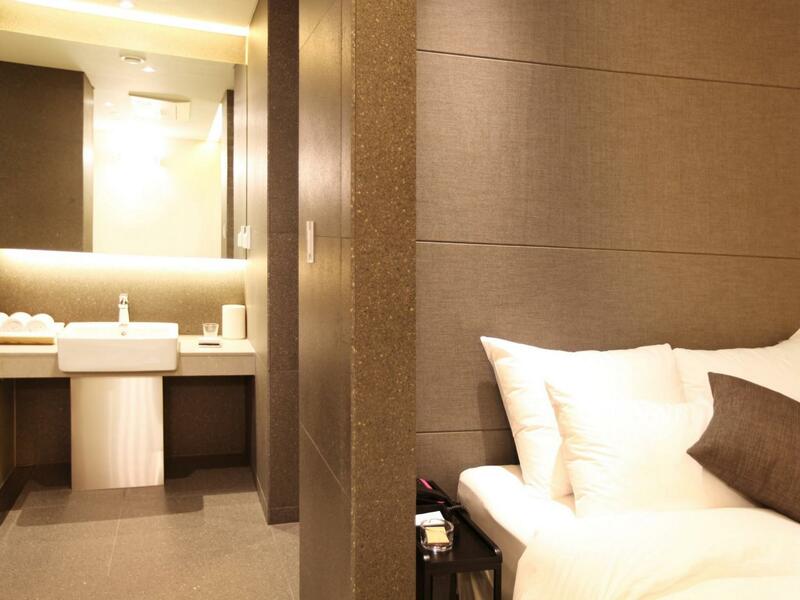 More suitable for couple, lover and single traveller as the there is no door for the shower / spa areas in both rooms. 1 room - main door right into into the shower area. The other occupier of the room has to be out of room or stay at 1 corner of room when the shower area is used. Another room - spa area is in the middle of room, next to the table & bed. As we travel with old people and adult children, privacy was a concern. Has feedback during check-out that it will be ideal if shower curtain is added to the shower area. Breakfast, staff, comfortable bed and bath. Great stay. This is a new hotel so it was very nice with huge bath and shower, comfy bed, and very clean. The staff went out of their way to help when I arrived late because my flight had been delayed. They even ordered food from a local restaurant and brought it to my room. Also took me to the airport limo bus upon my departure, and had an extra plug adaptor and phone charger, which they let me use for no charge. The breakfast is very nice also. Excellent, except for loud noise. There appears to be a nightclub or something close by, and there is a constant racket outside from 9 PM until about 5 AM. bring earplugs. the windows have thick shutters, but it's not enough. very nice but some noisy because of there is a nightclub. Very clean room and bathroom. quite modern style bed and furniture. friendly services and very reasonable price !! strongly recommenend !! Stayed here twice and its located near to subway. But away from downtown. Overall good experience!